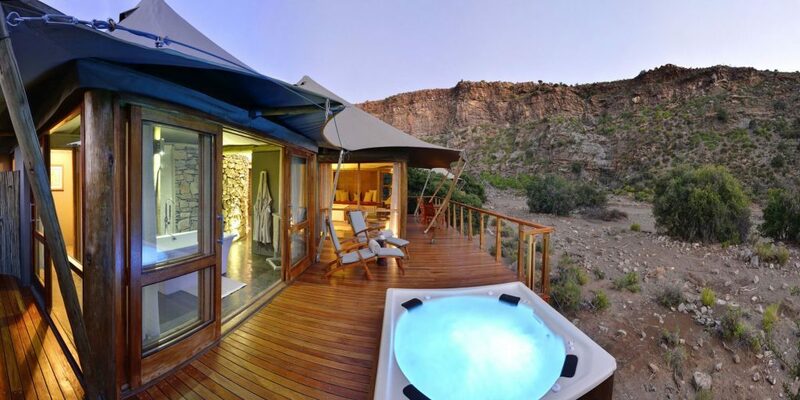 DWYKA Tented Lodge sits in a secluded section of Sanbona Wildlife Reserve in the klein karoo surrounded by dramatic and striking cliff faces on the banks of a dry river bed. 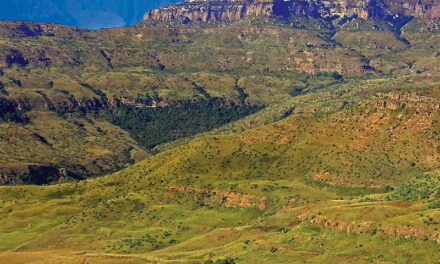 DWYKA Tented Lodge offers nine stunning luxuriously appointed tents for the travellers who enjoy camping but also appreciate the finer things in life. Each tent exudes an air of sophistication with neutral yet modern decor. They are beautifully appointed with king-size beds, glamorous yet functional en-suite bathrooms with free-standing baths, twin basins and both indoor and outdoor showers.